MOSCOW, January 17. /TASS/. 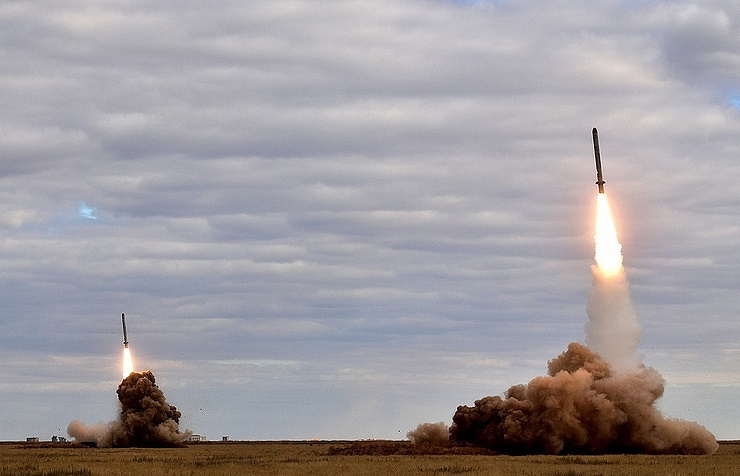 Washington’s logic linking the prospects of extending the New START (Strategic Arms Reduction Treaty) with its allegations that Russia is violating the Intermediate-Range Nuclear Forces Treaty is dangerous, Russian Senator Konstantin Kosachev told TASS. On January 15, Geneva hosted consultations between Russia and the United States on the INF Treaty. Deputy Foreign Minister Sergey Ryabkov headed the Russian delegation, while the US was represented by the State Department's Under Secretary for Arms Control and International Security Andrea Thompson. On Wednesday, Thompson told reporters that the situation around the INF Treaty was negatively affecting the prospects of extending the New START. "It’s even worse that in the context of misunderstanding with Russia on the INF Treaty Thompson also mentioned the agreements on strategic armaments saying that if Russia is violating the INF, then the New START may be in question. This is a very dangerous logic, which is typical for the current hawks at the State Department, who are in principal not interested in any talks on arms control: these people understand only the language of ultimatums and sticks, rather than talks and compromises," said Kosachev, who chairs the Russian Federation Council’s (upper house of parliament) Foreign Affairs Committee. Meanwhile, the senator noted that the US Defense Department’s new report on national missile defense, which US President Donald Trump is expected to make public during his visit to the Pentagon on Thursday, may name one of the reasons for US attempts to destroy the INF Treaty. The report also mentions the development of unmanned systems in the context of the US global missile defense system, including installing laser weapons on them. "As we know, one of key Russian claims against the US is that it is continuing developing drones, which in principle fall within the restrictions under the INF Treaty," he noted. Kosachev did not rule out that Washington seeks to have a free hand here besides another goal of deploying medium-range systems in Europe, what would harshly violate the security balance, or more exactly, fully destroy it. The senator is convinced that Russia alone cannot stop this destruction of treaties signed in the past decades. "If European allies of the US do not wake up from a lethargic sleep of blind transatlantic solidarity, they risk waking up once in very different realities, when the flight of missiles with nuclear warheads to their capitals will take a few minutes, and at the same time no confidence building measures or mutual control agreements will remain," he said. According to the senator, Thompson’s statements after the Geneva consultations on the INF Treaty confirm this apparent conclusion that the US had already made a decision on leaving the treaty. "The US side is no longer bothering to find a convincing argument in support of this step, but it keeps making unsubstantiated accusations against Russia. This however, is completely clear: once US European allies in NATO, whose security directly depends on this, swallowed this US "highly likely" option, "then there is no longer any sense for Washington to bother to search for something more believable," Kosachev stated. The Intermediate-Range Nuclear Forces (INF) Treaty was signed between the former Soviet Union and the United States on December 8, 1987 and entered into force on June 1, 1988. The INF Treaty covered deployed and non-deployed ground-based short-range missiles (from 500 to 1,000 kilometers) and intermediate-range missiles (from 1,000 to 5,500 kilometers). The Treaty between the United States of America and the Russian Federation on Measures for the Further Reduction and Limitation of Strategic Offensive Arms (the New START Treaty) entered into force on February 5, 2011. The document stipulates that seven years after its entry into effect each party should have no more than a total of 700 deployed intercontinental ballistic missiles (ICBM), submarine-launched ballistic missiles (SLBM) and strategic bombers, as well as no more than 1,550 warheads on deployed ICBMs, deployed SLBMs and strategic bombers, and a total of 800 deployed and non-deployed ICBM launchers, SLBM launchers and strategic bombers. The New START Treaty obliges the parties to exchange information on the number of warheads and carriers twice a year.The treaty will remain in force during 10 years until 2021, unless superseded by a subsequent agreement. It may be extended for a period of no more than five years (i.e. until 2026) upon the parties’ mutual consent. 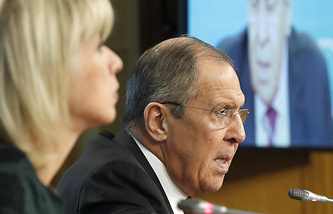 Moscow has numerously called on Washington not to delay the issue of the possibility of prolonging the treaty.